This QLA USP 5 apparatus for transdermal testing is sold as a borosilicate watch glass with a PTFE 17 mesh, held together by PTFE clips. Patches up to 90mm in diameter can be tested. It is compatible with all brands of dissolution bath and conforms exactly to the USP specification. Transdermal or patch testing is carried out using USP method 5 (paddle over disc) or USP method 6, the rotating cylinder. 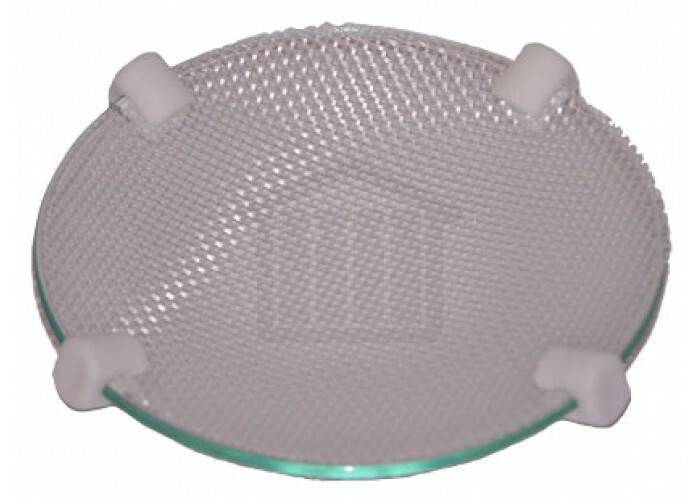 With paddle over disc, the transdermal patch is placed between a glass disc and an inert PTFE mesh. This is placed at the bottom of the vessel, with the mesh facing upwards, under a rotating paddle.